Size: approx. 3 mm. Photo: 09/10/11, 6 pm. 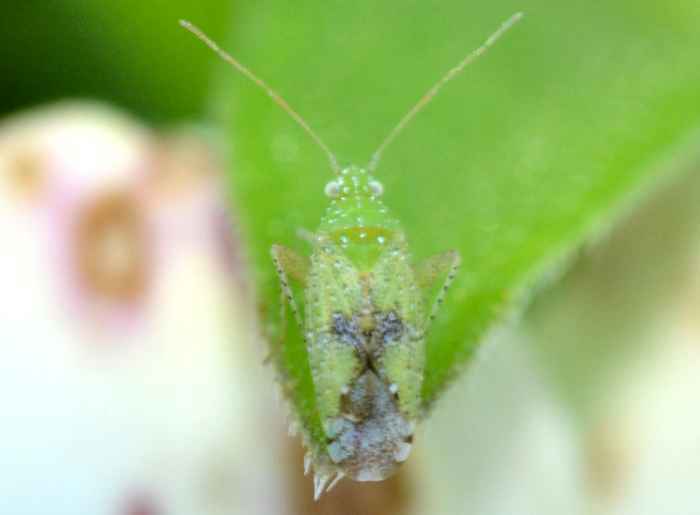 This tiny plant bug is Keltonia tuckeri. There is a bit of a question mark behind the species identification because I couldn't find photos of the other species.